Sinclair Broadcast Group will pay $3.9 billion to acquire Tribune Media, expanding the largest chain of TV stations in the U.S. The deal means it will own two Seattle TV stations — ABC affiliate KOMO and Fox affiliate KCPQ — both of which Sinclair expects to keep. The nation’s biggest chain of TV stations, the staunchly conservative Sinclair Broadcast Group, would own two Seattle stations — ABC affiliate KOMO-4 and Fox affiliate KCPQ-13 — if it completes the first big media merger of the Donald Trump era, and it expects to hold onto both despite concerns over media consolidation. If the Federal Communications Commission (FCC) does require any station sales as a condition of approving the acquisition, the most likely candidates would be in Wilkes-Barre, Penn. ; St. Louis, Mo. ; and Salt Lake City, Utah, he said. 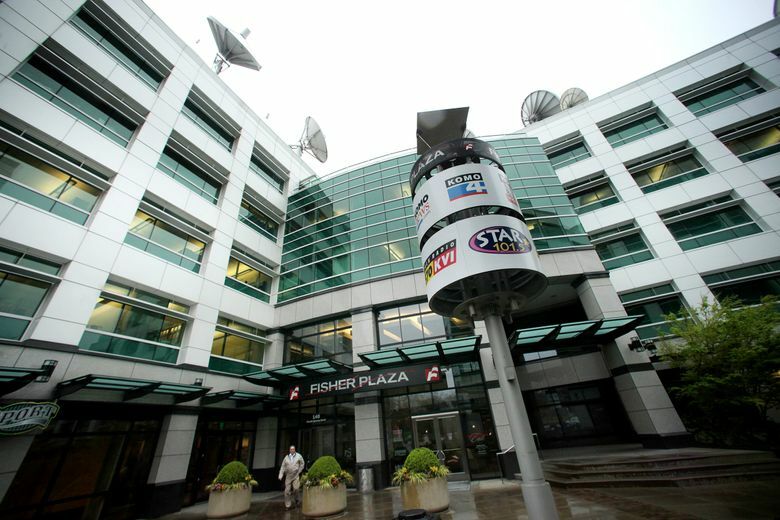 In Seattle, ranked as the 14th largest TV market in the country, Sinclair bought KOMO in 2013. Tribune owns KPCQ, branded as Q13 Fox, which broadcasts the Seahawks games. Among the other cities with overlap are Washington, D.C., and Portland, Ore., where Sinclair owns ABC affiliate KATU and Tribune owns KRCW. FCC rules allow ownership of two TV stations in a city provided “at least one of the stations is not ranked among the top four stations” in the market. The FCC will review the acquisition, he said, and will examine the competitiveness in each specific overlapping market, taking into account each station’s local reach and the genre of its programming. “If there’s no sufficient differentiation of voices, they may be forced to divest,” Amobi said. Under President Donald Trump, the FCC has already shown itself more open to media consolidation than it was under the previous administration. Sinclair, which would own 233 TV stations nationwide if no divestments are required, is widely considered a politically conservative company. During midterm elections in the administration of President Barack Obama, several Sinclair stations aired a 25-minute infomercial critical of the president that was funded by a Republican political-action group. Sinclair’s move to acquire Tribune has been spurred by last month’s easing of a specific regulatory restriction by FCC Chairman Ajit Pai, newly appointed by Trump, effectively relaxing the cap on TV-station ownership. Sinclair said Monday that combined with Tribune its stations will reach 72 percent of U.S. households. But under the new rule, most of that audience won’t be counted and Sinclair will be deemed to still be under the supposed limit of 39 percent. One of the two current commissioners under the new chairman, Mignon Clyburn, issued a statement strongly dissenting from the FCC’s policy shift. Indeed, Sinclair’s purchase of Tribune is expected to be only the first of a rush of mergers and acquisitions. With the Tribune acquisition, Sinclair gets 42 local television stations in 33 markets, including the top five cities in the nation. It creates a U.S. broadcasting behemoth to face down online competitors vying for a piece of the local advertising pie. Sinclair’s new assets will include 14 more Fox-affiliated stations, making it the largest broadcaster of Fox programming with 54 local stations, or 28 percent of the nation’s total of Fox stations. That will considerably strengthen its hand in contract negotiations with that network during negotiations for fees the local channels pay to air the broadcaster’s programming. The expansion by Sinclair, which produces some national content for its local affiliates to use in newscasts, has led to speculation that the company could create a conservative-leaning alternative to Fox News if its relationship sours with the broadcaster. At this time Fox is unlikely pull its affiliations from the combined Sinclair-Tribune, a person familiar with the matter said Monday. Tribune — which spun off publishing operations including the Los Angeles Times and Chicago Tribune in 2014 — also owns the cable network WGN America, digital-multicast network Antenna TV and minority stakes in the TV Food Network and CareerBuilder. Under the deal, Tribune stockholders will get $35 in cash and 0.23 share of Sinclair stock for each share of Tribune. That’s a total of $43.50 per-share, which represents a premium of 26 percent over Tribune’s closing share price on Feb. 28, the day before reports began surfacing about a possible tie-up. Sinclair will also assume debt of $2.7 billion.